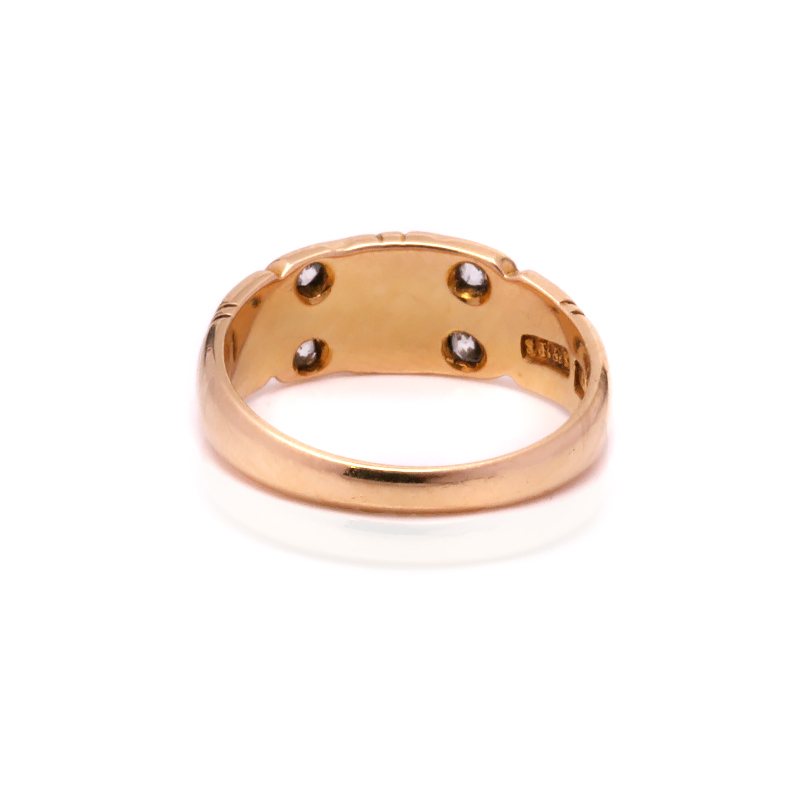 Product code: ES7488 Categories: Sold Items, Sold Rings. Made over 130 years yet still in fantastic condition and with a look that is still so fashionable, this 18ct gold antique opal and diamond ring made in 1883 with suit any finger and any occasion. Set with three lovely solid opals, it also has four European cut diamonds to add that extra sparkle and pizazz. And it is also the design of the ring with the gorgeous setting of both the opals and the diamonds that belies its age and one could even imaging that this is a modern ring. Measuring 7.5mm wide at the centre by 17.7mm from one end opal across to the other, this is such an elegant and easy to wear ring that feels so comfortable of the finger. Solid opals are always regarded as the best as opposed to opal doublets or triplets, and combine this with diamonds in an elegant setting such as this, and you truly have such a unique and special antique ring to wear with pride. Tag: Antique opal and diamond ring. 18ct gold antique opal and diamond ring made in 1883. Set with solid opals and four diamonds, this is such an attractive ring that is perfect for any finger and any occasion.